Last week we had the opportunity to join 800 people at the 2018 B2B Marketing Awards in London. A celebration of the best marketing campaigns and programmes within the B2B industry. 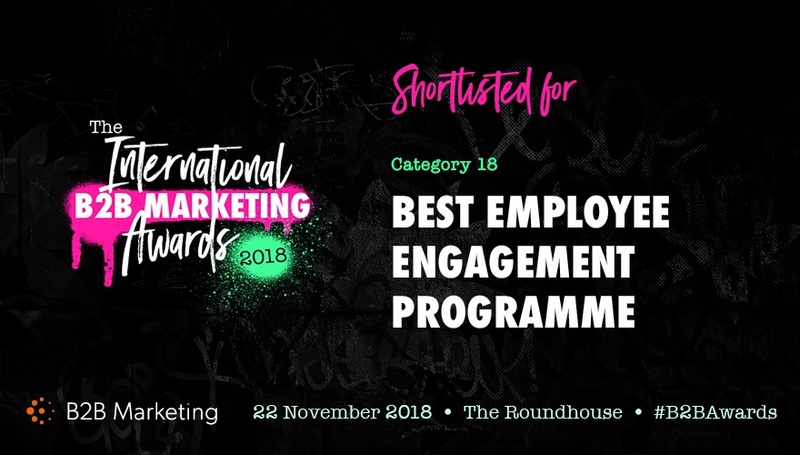 We were lucky enough to be finalists for the Best Employee Engagement Programme along with our customer CA Technologies (a Broadcom Company). Here's a little more about our entry and why were proud to be there. We were thrilled to work with CA Technologies (now a Broadcom Company) to set up and roll out a Social Advocacy Program. This project not only yielded outstanding quantifiable results but also delivered on “softer” KPI’s such as encouraging social advocacy in the sales team, strengthening personal social profiles and encouraging a “social-first” mindset across sales and marketing. One of the challenges CA Technologies faced was around employee engagement on social media. Engagement was disparate and unstructured and although the sales teams understood the value of such tools as LinkedIn Sales Navigator and PointDrive, there was a disconnect between this understanding and raising awareness and closing deals through social channels. CA recognised that Employee Advocacy is a great way of not only raising awareness in the market but also positioning key stakeholders in the business as thought-leaders and creating expert employees. There was a strong need to develop employees’ personal brands whilst sharing content beyond the organisation. In essence, CA wanted to be able to connect with our customers and prospects at a more granular level. CA’s social advocacy program was launched company-wide in Feb 2017. One of the first steps comprised of a “social readiness” course that, when completed, granted users access to LinkedIn Elevate – their chosen Employee Advocacy tool. Six months into the program only 17% of available Elevate seats had been taken. A drastic pivot was needed. So CA lowered the barrier to entry, making the training optional and offering instant, company-wide access to Elevate. The advocacy program was given an identity, #SocialCircle, a brand look and feel and a monthly incentive for users generating the most engagement. They then sent out a monthly company-wide update, utilised company Slack channels to stir up competition, championed monthly winners and interviewed them to share top tips with the wider company. Results changed overnight. 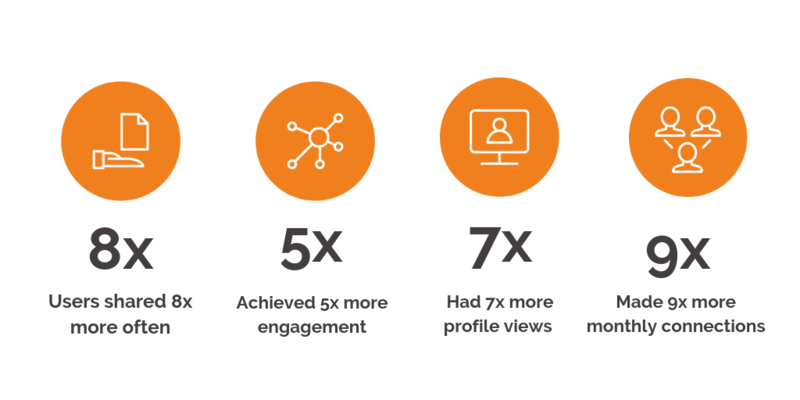 Adoption rates soared to 77%, users shared 8x more often, achieved 5x more engagement, had 7x more profile views and made 9x more monthly connections. Conversion rates on the website increased to 6.21%, nearly double the target. The North American team were so bought into the program that they ran a side-competition specifically for their Business Development Representatives (BDRs) from sales, that resulted in monthly engagements jumping by 22%. Sales were bought in, everyone from the CMO to the Sales Director were invested in the program and as a result, CA achieved a 27x ROI. EY won in our category but it was an absolute honour to be nominated. We are extremely happy with the results we were able to help our client achieve and that's what motivates us every day.